Marja Helander (b. 1965) is a Sámi photographer, video artist and film-maker with roots both in Helsinki and Utsjoki. In her work, she has studied various themes including her own identity between the Finnish and the Sámi culture. Since 1992, Helander’s work has been exhibited in two dozen solo exhibitions and over 50 group exhibitions in Finland and abroad. In her art, Marja Helander often builds from her own background between two cultures, the Finnish and the Sámi culture. What drives Marja as an artist is curiosity and the willingness to always learn something new. – This is why making video art and short films has been so inspiring after a long career in photography, Helander says. At the 2018 Tampere Film Festival, Marja Helander was awarded the Risto Jarva Prize for her film Eatnanvuloš lottit, Birds In The Earth. 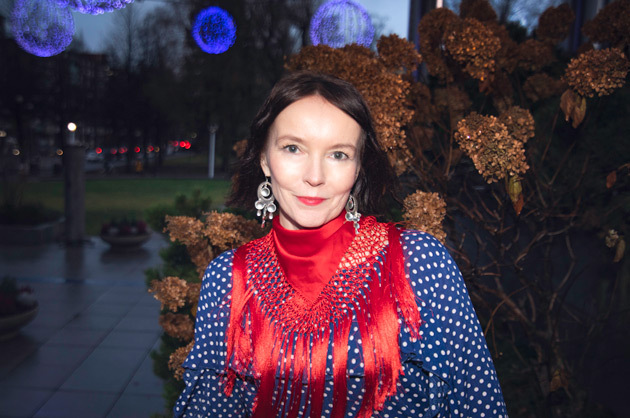 The Mänttä Art Festival has selected Marja Helander as the curator for the 2019 exhibition.